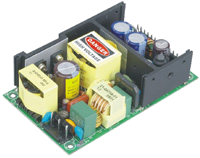 The PSIBU120 series of Class I AC/DC switching mode power supplies provides up to 120 Watts of continuous output power in a compact 5” x 3” x 1.32” open frame package. This series has single, dual, and triple output models with a wide input voltage range of 90~260VAC. These power supplies have active power factor correction, an internal EMI filter, and over load and over voltage protection. 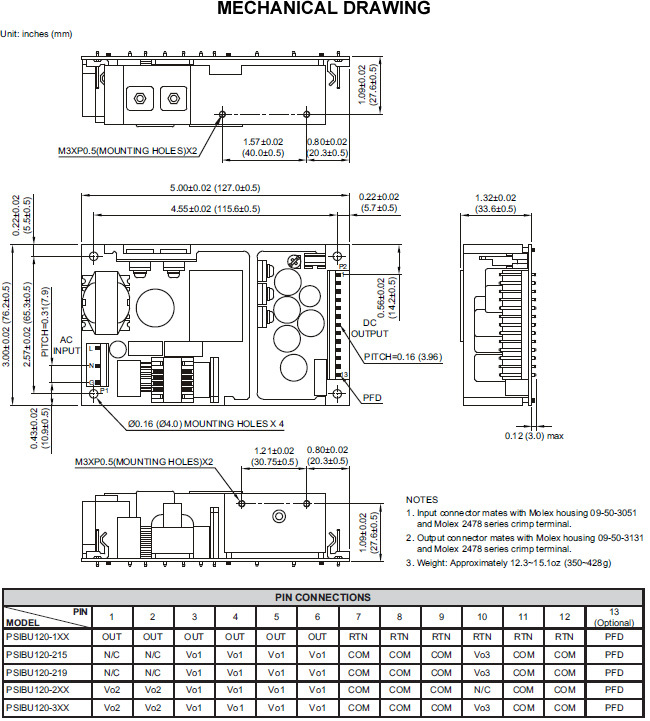 All models meet FCC Part-15 Class B and CISPR-22 Class B Emission Limits. This series also has UL/cUL (UL 60950-1:2nd Edition) and TUV/GS (EN60950-1:2nd Edition) safety approvals and meets new CE requirements. All models are RoHS compliant and have been 100% burn-in tested. Notes: 1. 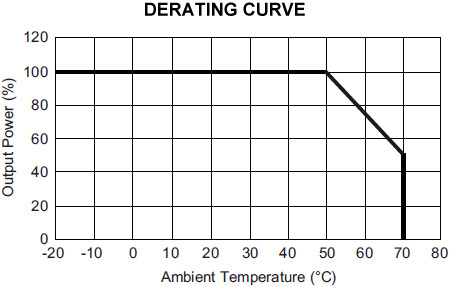 For single output models the output voltage is specified as a range (Ex: 40~50 VDC); the customer must specify what they would like the output voltage set at.